So you've met your steps goal. What's next? Increase MVPA (intensity) with the NL-1000. Smart choice pedometer for those who desire simplicity and who have bigger tummies. Our best weight loss pedometer is the multi-function, triaxial (3D) NL-2000i activity monitor. Our ultimate behavior change tools--the Lifecorder PLUS and Lifecorder EX accelerometers come with a security strap and are PC compatible. Researchers, clinicians & personal trainers use PAAS Lifestyle Coach (Software) to analyze subject, patient and client physical activity data. Acts as a safety net for your activity monitor. The best $3 you'll spend! If weight loss is your goal, jumpstart and simplify your plan with NEW-LIFESTYLES' Weight Control System. Empower yourself to take the necessary steps to increase your physical activity with NL's Walk Away From Diabetes Complications™ Kit. Buy a birthday, Mother's or Father's Day or holiday gift—a NEW-LIFESTYLES' activity monitor—& pack it in a pill vial. The NL-2000i accelerometer comes standard with its own security strap. The security strap acts as a "safety net" for your pedometer. Purchase your choice of NL-800 or NL-1000 with a security strap. The security strap acts as a "safety net" for your pedometer. It is well-accepted that our country is facing an obesity crisis. Schools are finding that teaching weight management and weight control is essential to students' health and well-being. 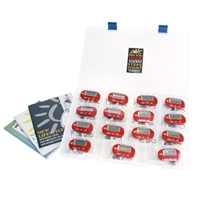 Our kits provide instructors with tools to teach students how to balance caloric intake with caloric expenditure. Great for secondary classes and adult education. Buy in bulk and save BIG with our NL-800, NL-1000 or NL-2000i 50-Pack! Buy in bulk and save BIG with our NL-800, NL-1000 or NL-2000i bulk pack of 200 accelerometers! If you stretch out the metal clip on your NL-800 or NL-1000 or the original NL-2000, it can be replaced with another metal clip very easily. 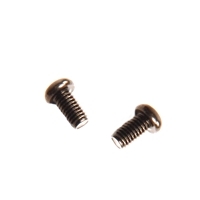 If you lose the screws that hold the metal clip to your NL-800 or NL-1000 accelerometer, this is the part needed to replace them. If you break or lose the battery compartment cover for your NL-800, NL-1000, NL-2000i, NL-2160 or NL-2200, one of these is the part needed to replace it.